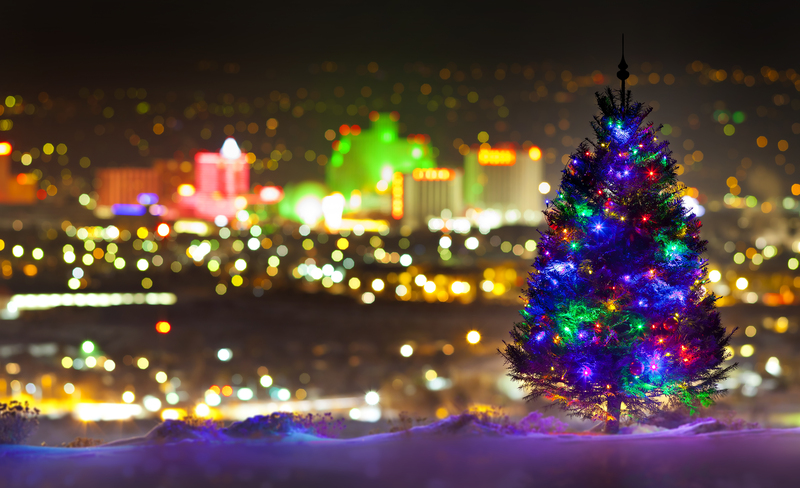 It’s time to celebrate the holidays in Reno/Sparks, and there’s an activity or event for everyone in the area this December. From events celebrating the arts to seasonal festivals to special musical and theatrical performances, we’ve curated some of our favorite ways to celebrate the holidays in our community. 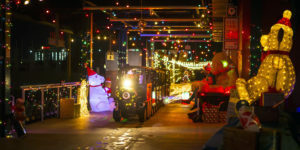 WinterFest is Reno’s biggest holiday event featuring rides on the Holiday Express Train, photos with Santa and ice skating, all at Greater Nevada Field from Friday, Dec. 7 through Monday, Dec. 24, 2018. On The Holiday Express Train, a custom narrated journey around the inside of the stadium, participants go on on a mission from Reno to the North Pole to deliver Santa’s “Naughty and Nice” list. In Santa’s Village, everyone can have their photo taken with the big guy in red. 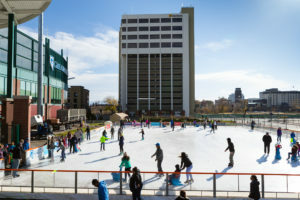 WinterFest also features Reno and Spark’s only outdoor ice rink for the winter season. Celebrate the holidays with Celebration on the Corridor in the Brewery District on Saturday, Dec. 8. Explore the lights, trees, bike lanes, and the new RTC Lincoln Line. Raise a glass and experience brewery and winery tours, local bands, local crafts, food trucks, and holiday drinks. 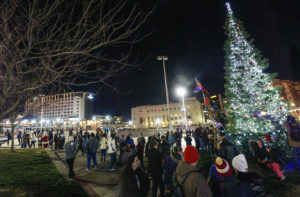 The City of Reno invites the public to a free holiday tree lighting ceremony in City Plaza on Wednesday, Dec. 5, 2018. Enjoy the tree decorations, generously donated by the Reno Riverwalk District. 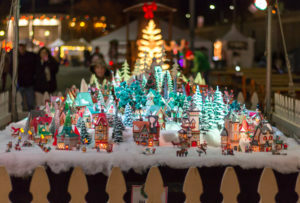 Afterward, head over to Greater Nevada Field for more fun activities, including free ice skating from 7–10 p.m. and free train rides in Santa’s Village. Join Red Hawk Golf and Resort for its community tree lighting ceremony on Friday, Dec. 7, 2018. The event will feature $7 ornament crafting on the clubhouse patio, vendors handing out candy and holiday cheer, and a small buffet of pizza, pretzels, popcorn, hot cocoa and more. 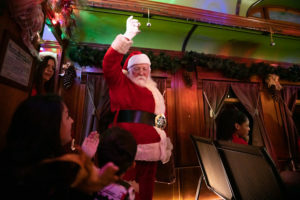 The V&T Railway will take kids and adults on a magical journey to the North Pole onboard The Polar Express Train Ride through Monday, Dec. 24, 2018. Set to the sounds of the motion picture soundtrack, passengers will sip hot chocolate, enjoy treats and read along with the classic children’s book, “The Polar Express,” by Chris Van Allsburg. 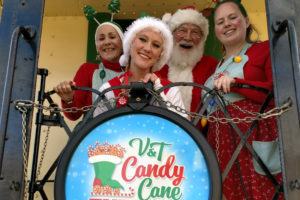 Add a little magic to the season and ride the V&T Candy Cane Express, starting in Virginia City and running through Sunday, Dec. 16, 2018. Steeped in the holiday spirit, this whimsical, scenic 50-minute journey includes hot cocoa or cider, holiday treats, and sing-a-long carols on a festively decorated train. Enjoy Reno and Spark’s only outdoor ice rink for the winter season at the ice rink at Greater Nevada Field. The rink will be open through Sunday, Jan. 21, 2018, weather permitting. 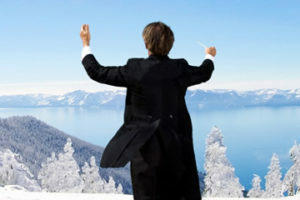 The Tahoe Symphony Orchestra and Chorus will conclude its 13th season with a production of Handel’s “Messiah” and seasonal carols at various locations in the Reno/Sparks area. The Reno Jazz Orchestra will present “A World of Joy” on Saturday, Dec. 15 and Sunday, Dec. 16, 2018, at Whitney Peak Hotel Cargo Concert Hall in downtown Reno. This holiday show features the Reno Jazz Orchestra and great music with grand Christmas tradition in the spirit of the jazz big band stage performance. 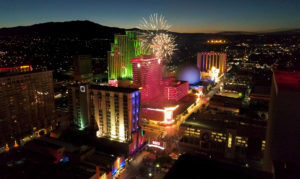 Ring in the new year with Downtown Reno’s spectacular fireworks display on New Year’s Eve Downtown Fireworks Display on Monday, Dec. 31, 2018. Join thousands of other people under the Reno arch to welcome the New Year with dazzling pyrotechnics. What starts as a traditional production of A Christmas Carol quickly transforms into a slightly irreverent, madcap, yet heartwarming romp through the holiday season with “Every Christmas Story Ever Told,” at Reno Little Theater through Sunday, Dec. 16, 2018. By the end of the show, the cockles of your heart will be warmed, which will make up for how much your face hurts from laughing! 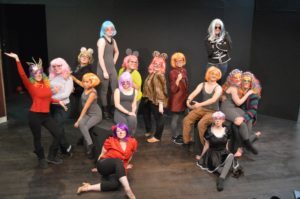 Bruka Theatre continues its original holiday storytelling tradition with the original, all new Christmas show “The Mousehole Family Christmas Extravaganza.” The show, which runs through Saturday, Dec. 22, 2018, centers around The Mousehole yearly holiday celebration as family gifting is questioned on a whole new level. This enchanting, ridiculous and evocative production will bring plenty of holiday joy. Noël, a brand new holiday family musical, is the touching story of a young girl who goes on an adventure to find the true meaning of Christmas. It runs Friday, Dec. 14 through Sunday, Dec. 16, 2018, at the Pioneer Center for the Performing Arts. The stage at the Pioneer Center for the Performing Arts comes alive with a sugar plum fairy and dancing mice as A.V.A. 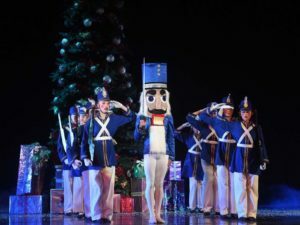 Ballet Theatre presents the annual Nutcracker Ballet from Friday, Dec. 7 through Sunday, Dec. 9, 2018. A.V.A. Ballet Theatre’s artistic director Alexander Van Alstyne has choreographed an exciting rendition of the favorite holiday ballet, and the Reno Philharmonic Orchestra will perform Tchaikovsky’s moving score. Laura Jackson will conduct the orchestra. Principal dancers who have performed with professional ballet companies such as Ballet West, Houston Ballet and the Diablo Ballet will perform the leading roles alongside a large cast of local talent. 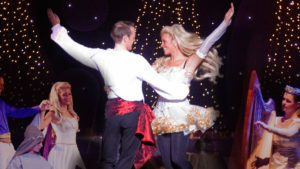 Celebrate the holidays with Irish dance with “Siamsa – A Celtic Christmas” at the Grand Sierra Resort on Thursday, Dec. 6, 2018. This enchanting holiday show tells the story of a girl in search of the “Candle in the Window,” the light that represents the true meaning of Christmas. Written by Amanda Coulson, director, and choreographer of the Reno Irish Dance Company and founder of Dancin! Performing Arts Center in Reno, “Siamsa” is a heartwarming tale and charming celebration of Celtic traditions, superstitions, customs, as well as amusing antics guaranteed to entertain the entire family. Escape to a land of holiday fantasy with The Reno Dance Company’s production of “The Nutcracker” at the Nugget Casino Resort from Saturday, Dec. 15 through Sunday, Dec. 23, 2018. With a cast of talented dancers and a rich blend of costumes, scenery and outstanding choreography, this extraordinary production creates a magical, mesmerizing winter wonderland. Reno Dance Company’s production of The Nutcracker features twenty professional dancers plus local children from the Reno-Sparks area. “The Unbelievables Christmas Spectacular” at the Eldorado Resort Casino runs every Tuesday, Wednesday, Thursday, Friday, Saturday and Sunday through Jan. 6, 2019. This show features “America’s Got Talent” semi-finalist Evie Clair, jaw-dropping magic, breathtaking circus acts, and local school choirs singing Christmas carols. Celebrate the magic of the holiday season with the high-energy magical show “Holiday Dreams – A Spectacular Holiday Cirque” at the Grand Sierra Resort from Thursday, Dec. 20 through Sunday, Dec. 30, 2018. This unique holiday-themed show takes a fresh approach by combining the time-honored traditions of the holidays with holographic techniques, world-class artists, acrobats and performers, and an exciting modern soundtrack. Join the Nevada Museum of Art for an evening of yoga, reflection, poetry, and conversation at Winter Solstice Yoga Celebration: An Homage to Anne Brigman on Thursday, Dec. 20. This program hosted in the museum’s Sky Room will include modifiable yoga sequences to honor the Winter Solstice, peppered with select poetry readings from Songs of a Pagan, followed by tea and conversation. All levels of yoga practitioners are welcome, including first-timers. Indulge in a seasonally-inspired five-course meal and celebrate the holiday season at chez louie’s Holiday Wine Dinner Featuring Dark Cellars’ Wine on Thursday, Dec. 13, 2018, at the Nevada Museum of Art. Chef Mark Estee will expertly prepare the meal, which will paired with a variety of wines from Dark Star Cellars presented by Lakeshore Distributors. 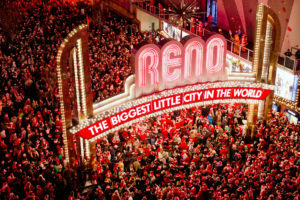 At the Reno Santa Pub Crawl, the largest Santa Pub Crawl in the country, thousands of merry-makers descend upon downtown Reno on Saturday, Dec. 15, 2018 to enjoy good spirits and yule-tide cheer. More than 15,000 holiday-clad revelers are expected each year. The event gives all proceeds to local schools. At 11 p.m., join all the other Santas for a photo under the Reno Arch. 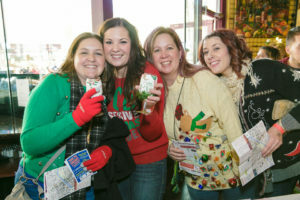 Don your favorite (or least favorite) seasonal garb and head over to the Ugly Sweater Wine Walk on Sunday, Dec. 16, 2018, in Downtown Reno. Reno’s original wine walk goes along the Truckee River and neighboring streets in downtown Reno. This month’s event will benefit Safe Embrace, a nonprofit dedicated to educating the community and providing services to survivors of domestic and sexual violence.